These babies are clearly gonna be the stud of your shoe closet. 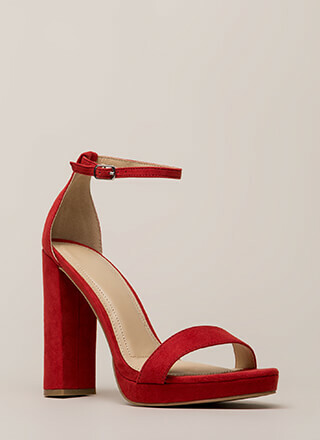 Chunky, open-toe, vegan suede heels feature a clear PVC toe strap, a skinny ankle strap with an adjustable buckle, and studded trim around the perimeter. Shoes are finished with an open back, exposed sides, and a ridged sole.